The Jordan Brand celebrates Michael's second career NBA Finals championship crown with a reissue of the original Air Jordan VII. 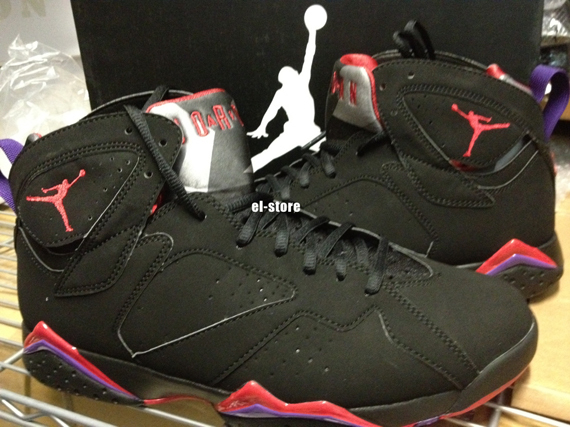 Arriving nearly just as they did back in 1994 and in 2002, the Air Jordan 7 Retro dons a color combination of black, true red, dark charcoal and club purple. 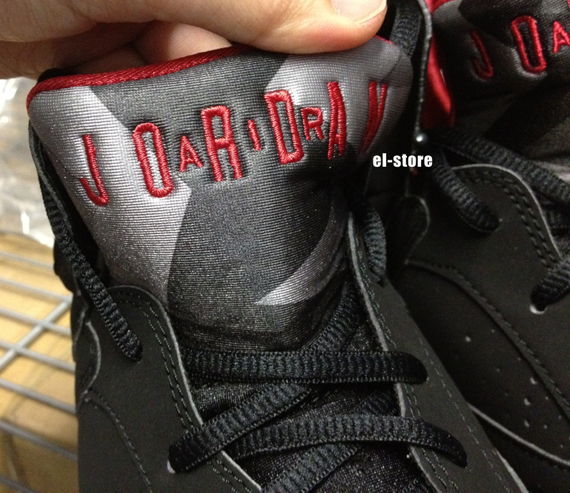 Black works the entire nubuck upper on them, while true red takes care of the tongue liner and branding, Jumpman, midsole teeth and outsole. Club purple also accents throughout, taking care of the heel pull tab and midsole teeth as well. This timeless colorway of the Air Jordan 7 Retro is expected to hit select accounts this September.